Google Maps for WordPress are very useful these days usually in wordpress contact forms which showcase the correct location of the business or a place of interest. Modern plugins here require only location input to mark the point accurately as it will auto fetch the live map details from Google. Marking different locations on the map can be done easily with the marker options the plugin provides and that too with colorful icons for interaction. Route your journey across multiple travel location with these plugins and you will start loving them. 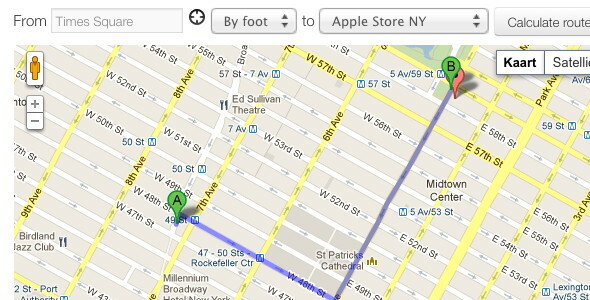 Add titles, description and much more details on your travel details on the map with the help of pointers. 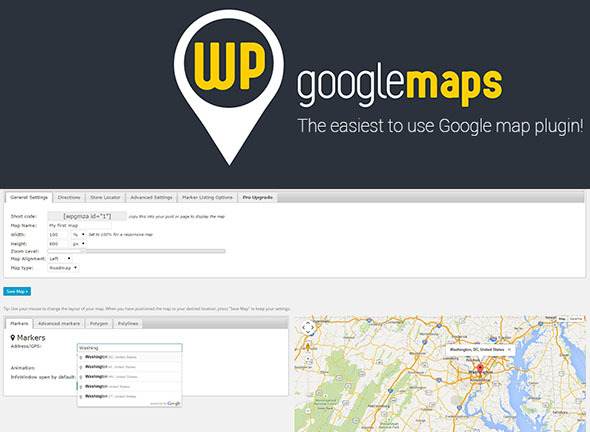 List your business location in style with these advanced Google map plugins developed for WordPress platforms as these come in free versions as well. Premium WordPress plugins are complete customization ready and as said before they only need your location to point the place accurately. 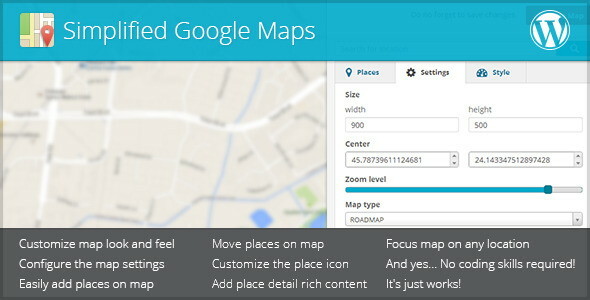 Make the Google map plugin blend perfectly with your website theme and also structure with correct width and height by inputting them in the plugin options. Responsive map plugins will add a extra feature set to scale across multiple platforms whenever needed. Find hand picked 20 best Google Map Plugins for WordPress in this topic made to simplify your location marking in WordPress. This free version of wp google maps will let you ad markers, create and use shortcodes to display maps in any page content. The options to resize the maps , setting the default zoom level is also available in this lite version. Embeds a Google Map into your site and lets you add map markers with custom icons and information windows. BGMP creates a custom post type for placemarks (markers) on a Google Map. 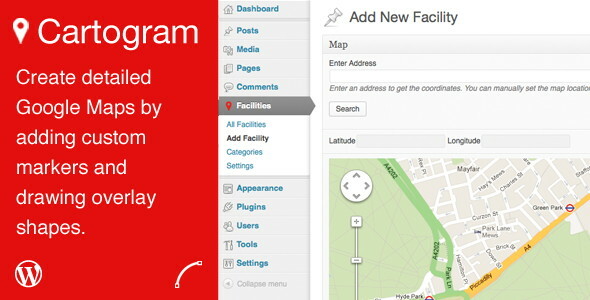 The map is embedded into pages or posts using a shortcode, and there are settings to affect how it’s displayed. You can create markers that will show up on the map, and set their icons using the Featured Image meta box. When a marker is clicked on, a box will appear and show the marker’s title and description. Maps Marker allows you to pin, organize and share your favorite places & tracks through your WordPress powered site easily. Pin, organize & show your favorite places & tracks through OpenStreetMap, Google Maps, KML, Bing Maps, APIs or Augmented-Reality browsers. 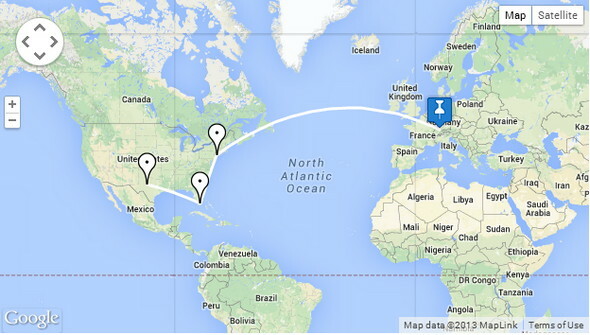 With the Google Maps Travel Route plugin you can easily show a static route on Google Maps. Google Maps Travel Route enables you to easily insert Google Maps along with a travel route, tour, etc in your WordPress website. Via dashboard you can add,edit or delete locations or edit the options for the map itself. The map can be inserted in pages, post or sidebars via shortcode. A widget is also available. Displays a single-image super-fast loading Google map in a widget. A larger map with all the usual features is available on click in a lightbox. This free plugin displays a configurable single-image super-fast loading Google map in a widget. A larger map with all the usual features such as zoom and pan is available on click in a lightbox. Both maps can be fully adjusted in size and appearance to fit any site and design. It takes less than 10 seconds to create a new map and configure it. CP Google Maps allows to associate geolocation information to your posts and to integrate your blog with Google Maps in an easy and natural way. The Google Maps inserted in a single post displays a marker at the position indicated by the geolocation information pertaining to the post, but also shows markers of the last posts published in related categories. The number of markers to display on the Google Maps can be set in the plugin’s settings. The Google Maps inserted into a template displaying multiple posts will contain as many markers as posts making up the page with the associated geolocation info. When the mouse is hovered over the marker, the post to which it belongs gets highlighted. Now begins the premium plugins for wordpress. Just put: [gmap]my address[/gmap] and you’re done! Google Maps, easy, simple, responsive and styled! 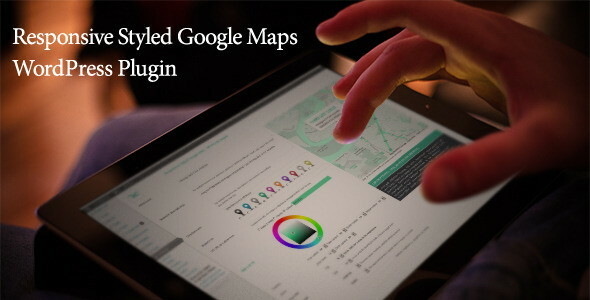 This is the only WordPress plugin on the market that generates responsive and styled Google Maps! Please check the live demo to see a lot of shortcode examples and samples of maps you can create. It allows multiple markers per map and multiple maps per page. No API key required. The shortcode is very easy to generate and the map is so easy to use! 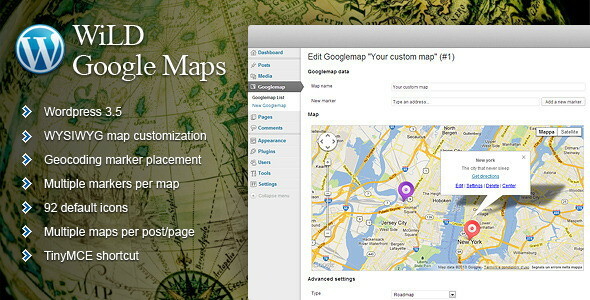 WiLD Googlemap is a WordPress Plugin which allows the creation and management of Google Maps on your site! Check the examples below and how it works to see what it can do for you! You can also manage the map type, its size and which commands enable or disable! You can have multiple maps on your pages and each map can have infinite markers! 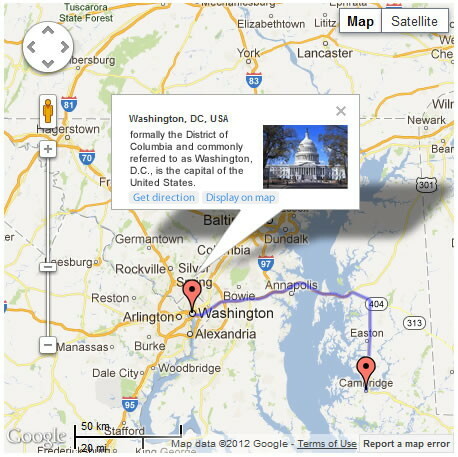 Ultimate Google Maps by Inceptive Design Labs provides an easy way to create and display Google Maps. 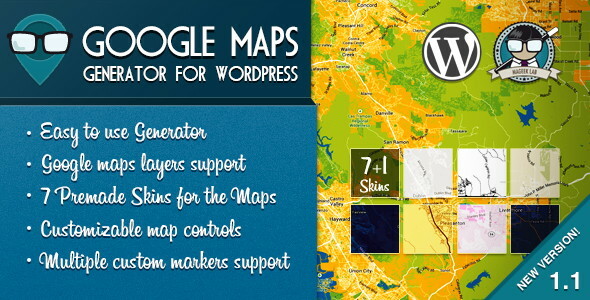 This plugin lets you create Google map easily with various map types, driving directions, pointers etc. How it works? The generator allows you to create google maps without the needing of any code. All visual! 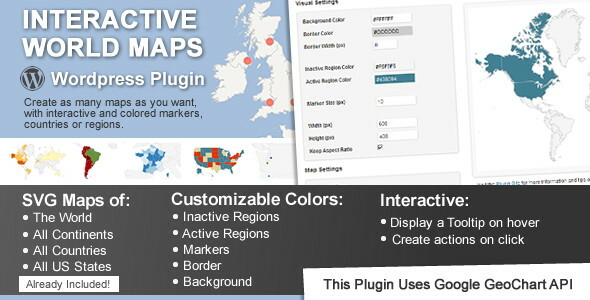 This plugin includes seven different skins, to give your maps an unique view, also you can tint your map with the one color option. 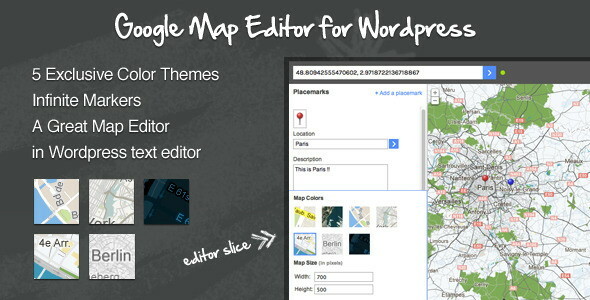 Google Maps Editor for WordPress let you create beautiful maps within the WordPress text editor. 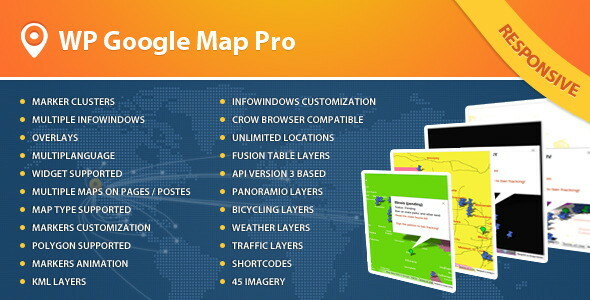 You have the choice between classical Google Maps style and five exclusive color themes made for Google Maps API . 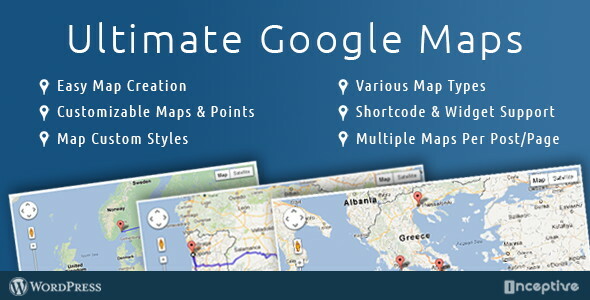 This plugin allows you to create unlimited Google Maps that you can place in your posts, pages or theme template files using a shortcode. You can then customise a map by adding unlimited locations to the map. Complete control of the map position by using an address, adding a marker or entering a latitude and longitude manually. 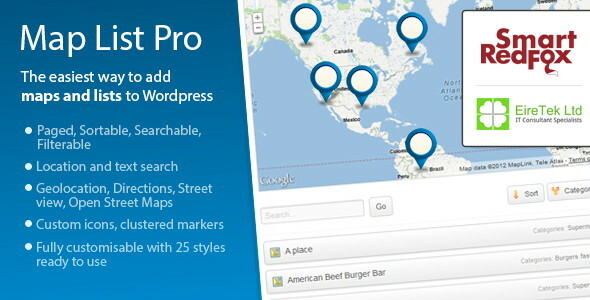 Progress Map is a wordpress plugin for location based listings. The goal is to help users having websites like hotel listings, real estate listings, restaurant listings, job listings, store listings & more… to list their locations on Google map and easily move through it using a carousel. With Progress Map, your locations will be listed on both Google map (as markers) and a carousel (as locations details), this last will be related to the map, which means that the selected item in the carousel will target its location in the map and vice versa. To add your locations, Progress Map has provided a form area in the add content post page allowing you to quickly add your locations. Map List Pro is the easiest way to add a searchable, sortable, filterable list of locations to your site. Map List Pro is perfect for creating Store locators, Office lists, Location overviews, and Contact lists. It’s easy to use, and your staff and customers will love it! This plugin is capable to create basic to advance google maps easily ex: marker cluster, overlays, multiple info windows , multi language supported which makes it unique among currently existing other google map plugins. We included those all functions which needs usually based on our +6 years experience in Google Map Integration. 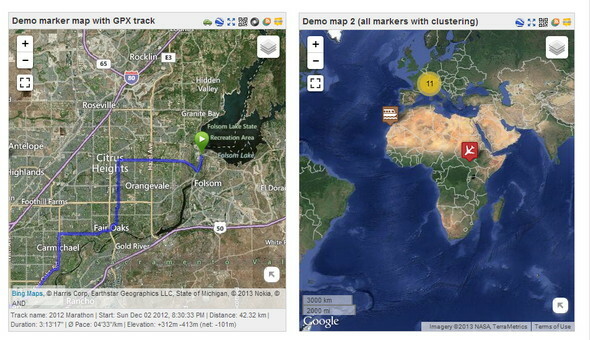 A responsive Google map that allows multiple markers per map and multiple maps per page. Includes fullscreen view and marker clustering. No API key required. Easy simple setup. No long complex shortcodes to generate by hand. As simple as creating a map, quick add a location, copy the simple shortcode to the page you want the map on, and you’re done. 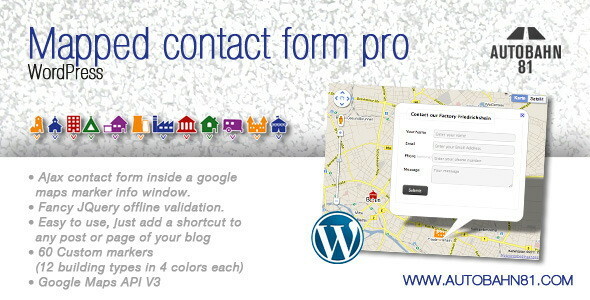 With the WordPress Google Maps Contact Route plugin it becomes very easy to add contact routes to your destinations. Great list of plugins thank you for the work. 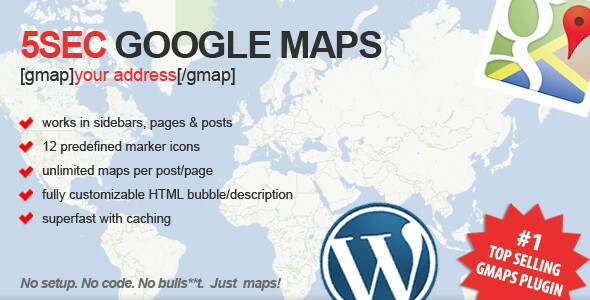 “Google Maps Generator for WordPress” is my favorite plugin. Hi.. I am looking for a map to add to my site that will allow the customer to imput their location and maybe a short story of their experience with our product. That will show up as a marker on a world map. Then when someone clicks the marker on the map the small widow will show the story. 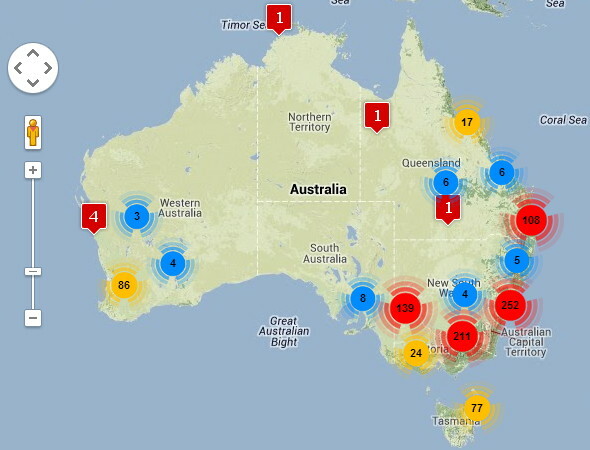 There needs to be the map shown and then tabs for the customer to fill in their details and story. Does this exist?